It’s officially summertime, and that might mean fun times by the pool for you, but potential danger for your smartphone. According to a report from cellphone insurance company Asurion, people are most likely to lose or damage their handset during the summer. So before you jump in the pool with a phone still in your pocket, check out these waterproof smartphone cases for the latest flagship devices from Apple, Samsung and HTC. 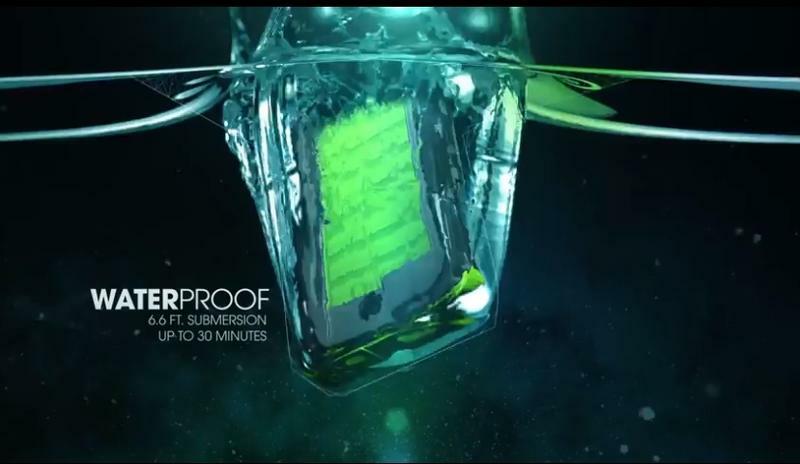 The Incipico Atlas is our first pick when it comes to waterproof iPhone cases. Its lightweight design will protect your handset while you swim, snorkel or splash around in the pool and its looks good too. The Incipico can be submerged up to six feet for about an hour. It almost never floods, but just in case it does, the company offers a one-year warranty. The case is listed at $90 but available for just $60 on Amazon. The Otterbox Armor Series is a solid choice as well. It doesn’t hold up quite as well underwater for extended period of time, though it can withstand 2000 pounds of pressure. Of course, that means this heavy-duty Ottberbox is more than just a little bulky, so unless you plan on playing football with your iPhone this summer we’d say the Incipico is the better buy. The Otterbox is available for iPhone 5, 4S and 4 and costs a whopping $100, though it’s been marked down to about $70 on Amazon. The Lifeproof case was a clear front-runner with its iPhone 4/4S model and the Otterbox-owned company sells an iPhone 5 model as well. It offers zero shockproofing, though it does come with a one-year warranty and our experience with the iPhone 4 model has been largely positive, even in the ocean. It has a plastic screen that can be tough to use and the case muffles your phone’s speakers, but that can be the cost of protection. Lifeproof for the iPhone is also a relatively cheaper option, costing just under $80, though there are plenty of even cheaper cases. It’s also available for the iPhone 4 and 4S. There aren’t a ton of waterproof cases designed specifically available for the Galaxy S4 available on the market right now, but if you need some protection for your Samsung smartphone check out the Krusell Sealabox, which fits the S4 as well as the S III (pictured) and S II. 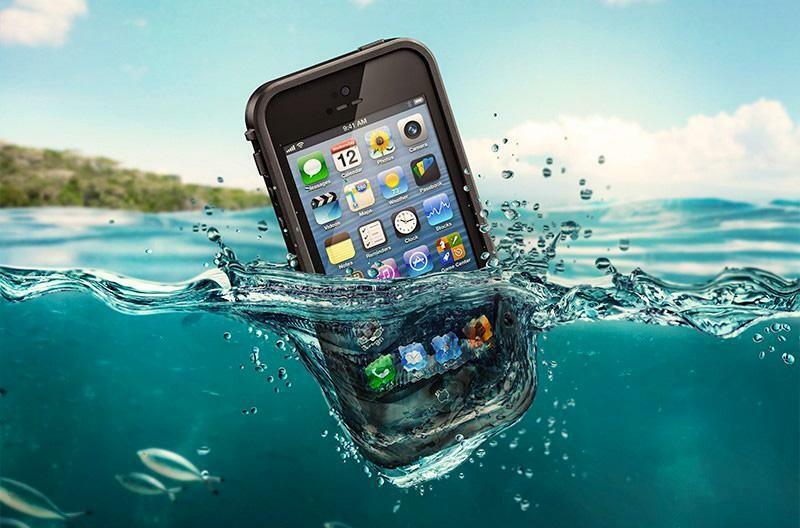 This waterproof case promises to keep your handset protected for 30 minutes at up to one meter (about three feet) deep. 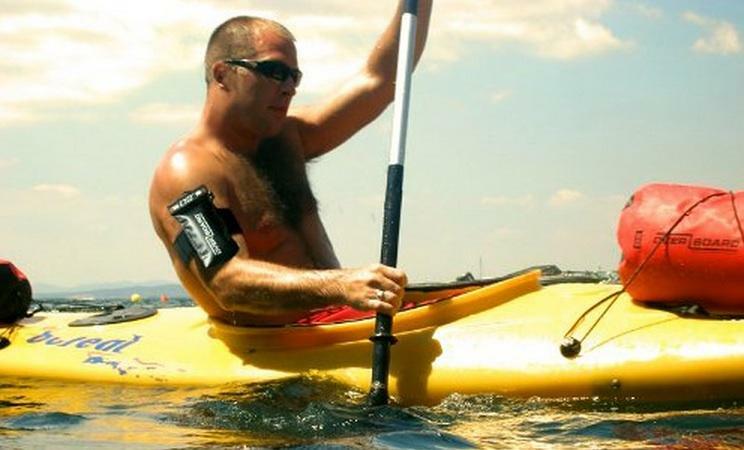 The plastic case also promises perfect use underwater, though user reviews vary on how well it really works. The Krusell Sealabox comes in black, white and red, and costs $35. You can order it from the Android Community online store. Back in May, smartphone accessory maker Seidio announced the OBEX for Galaxy S4, an upcoming waterproof case for the flagship handset. The case promises protection from water and drops with a sleek design. Unfortunately, the OBEX is still unreleased, but should hit the market sometime between July and September, meaning it could arrive any day now. Head over to Seidio’s website for more information on the OBEX. 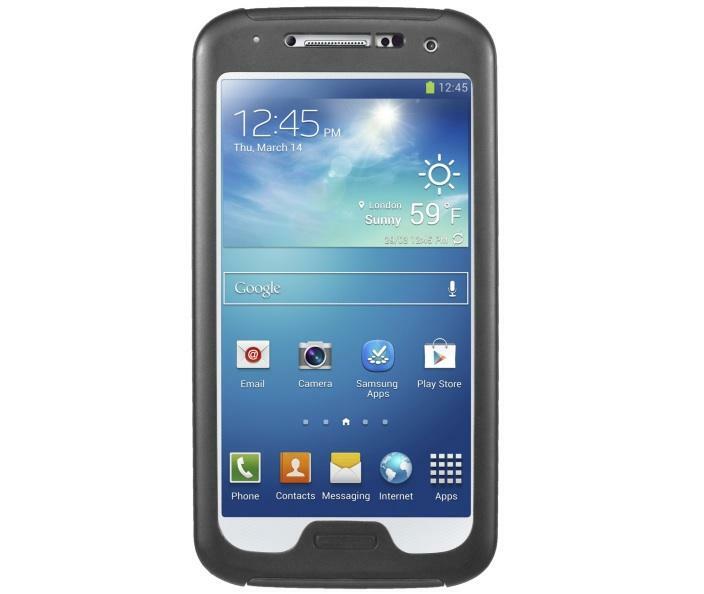 We know it’s not a case, but if you want a waterproof Galaxy S4 your best option for now may be to pick up a Galaxy S4 Active. The rugged smartphone can last 30 minutes while submerged three feet underwater and takes photos at the same time. The handset comes with a slightly less impressive TFT LCD display and an 8-megapixel rear camera, but other than that the two devices are practically identical right down to screen-size and resolution. 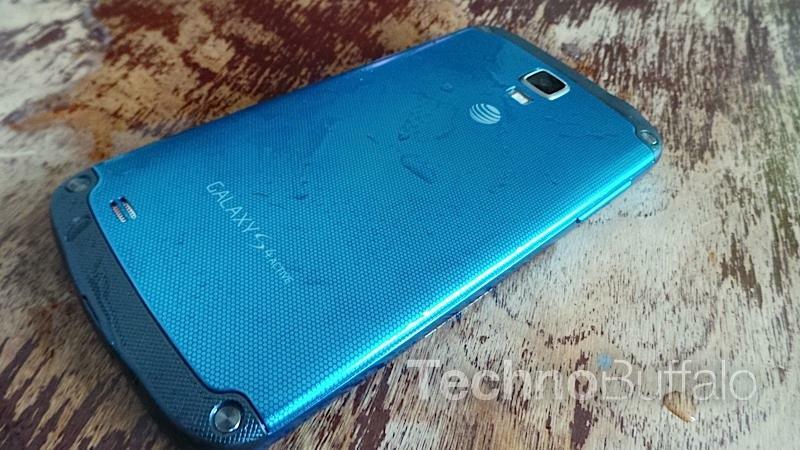 The S4 active is available exclusively from AT&T, and starts at $199 with a two-year contract. Again, the pickings here are a bit slim, but there are still some great option for the HTC One, starting with Dry Case. This accessory features a a vacuum seal that ensures your smartphone is protected from the water while giving your full control over the device. It also fits the HTC One S and One X (pictured). 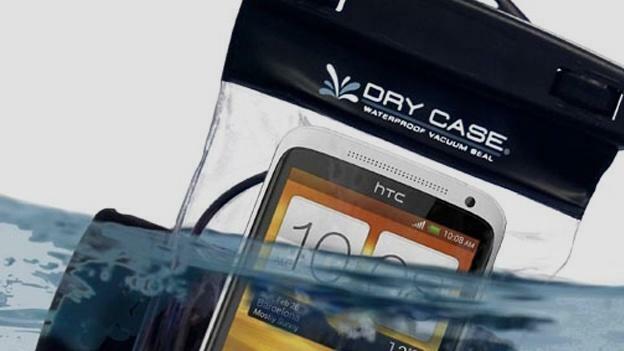 With Dry Case, you can take your HTC One 100 feet underwater for up to an hour, make calls and listen to music. The waterproof case costs $30. If you’re looking for something a little less heavy duty and bulky, the Aquapac Handheld case will probably do the trick, and promises to keep your HTC One protected at depths of up to 15 feet. It’s also dust and sand proof and floats in the water. 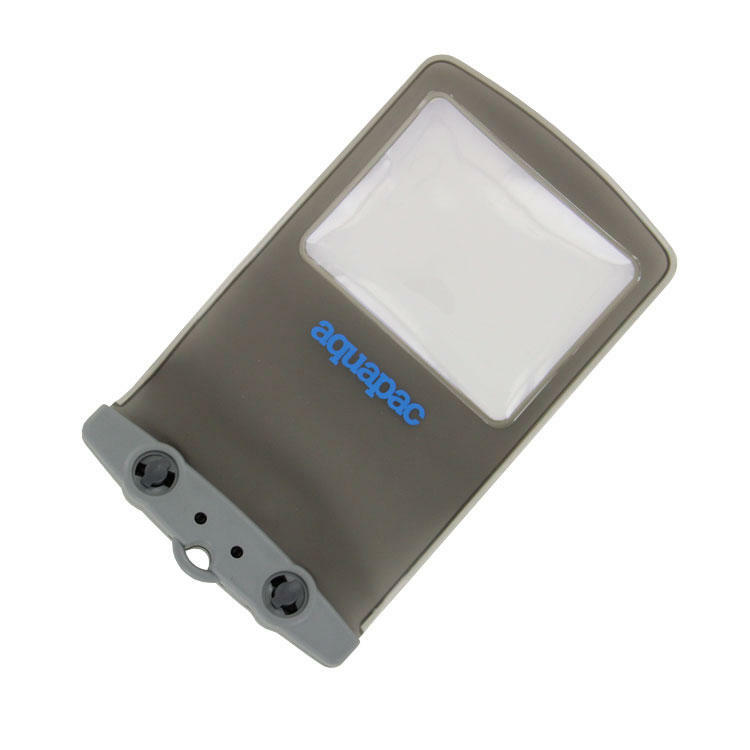 The Aquapac waterproof case costs $30. If you’re going whitewater rafting this summer and want to take your HTC One along with you consider protecting it with the OverBoard Waterproof Pro Sport Arm Pack, which straps to your arm and promises to keep your smartphone safe from all water damage. 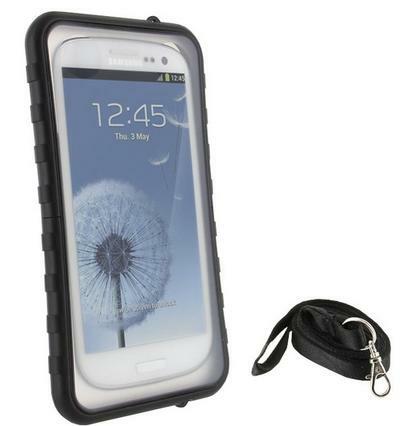 This case is waterproof at up to 19 feet of water and floats on the surface when dropped. There’s also space to store your keys and wallet. However, the one drawback is that when your handset is in this case you won’t have access to the screen at all. It costs $30 on Amazon.